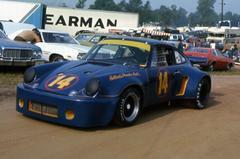 Al Holbert began his professional career in 1973, driving a Porsche Carrera. Holbert studied mechanical engineering at Lehigh University and after graduation he went to work in the family business, selling cars. He worked for Roger Penske and started designing components for racing cars. His career was launched as Mark Donohue really influenced him about driving race cars. With such a background, he was very good at working on race cars, as well as driving them. His first one was a Porsche 914/6 he used in C Production. 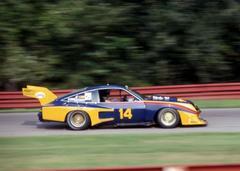 He drove Porsche Carreras from 1973, in Trans Am and from 1974 to 1976 in IMSA. He switched to a Chevrolet Monza in 1976 and 1977. He had joined forces with Dekon Engineering, who provided the car, and Holbert Racing built it. But he did his share of work, not only while driving the car but he did the construction of the car and worked on the race plan. After winning two IMSA Championships with the Monza, Al Holbert's team was not to be seen in IMSA until 1983. He made some sporadical appearances in the Championship driving the Bayside Disposal car at Sebring, and winning the race in 1981. When he came back in 1983, it was the winning way. He entered the new March 83G powered by a flat 6 turbo Porsche engine. That same powerplant found on the Porsche 935s, adapted to suit a prototype need. At the end of the season, it was Al Holbert's third title. In 1984, he acquired the new Porsche 962, a car that needed a high degree of development. The car was really competitive by the second half of the season. That year the Championship went to Randy Lanier, driving a March Chevrolet. In 1985, Al Holbert returned to business and won a fourth Championship. In spite of an unwelcomed weight increase, the team handled that very professionaly and the car did not lose its efficiency. Al had the abilty to cope with different kind of challenges. Tuning cars was what he liked and he did it so well. In 1986, he again won the IMSA Championship, his fifth one but his last one too. 1987 was a season in which he won the Championship as a team owner, as Chip Robinson emerged as a rising star and the new IMSA Champion. Al Holbert finished fourth in a reduced schedule. In 1988, he was named Director of Porsche Motorsport North America, a new challenge he was willing to embrace. This new challenge was to reduce his time as a driver as he took this new task really seriously. Unfortunately, on September 30, 1988, Al Holbert was at the IMSA Columbus Ford Dealers 500. That evening, Holbert was fatally injured when his plane crashed shortly after takeoff near Columbus, Ohio. 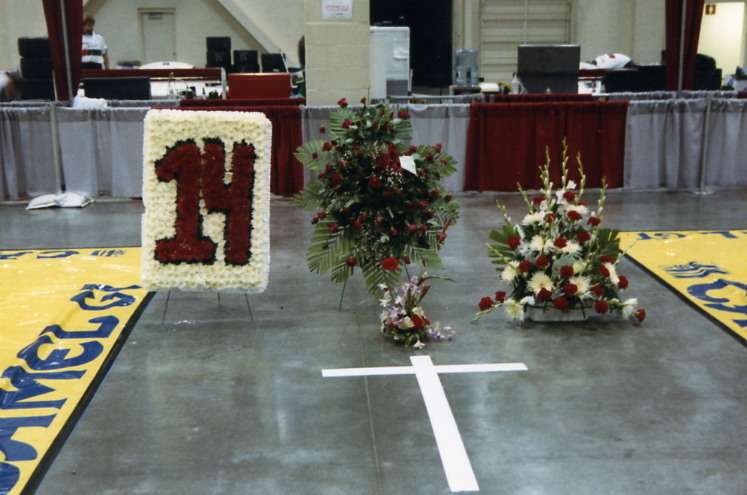 In 1993, Al Holbert was inducted into the International Motorsports Hall of Fame. Holbert is America's winningest professional road racing drivers with 63 career victories, including 49 career IMSA wins. His excellence has always been an example for all of us. We miss him very much. 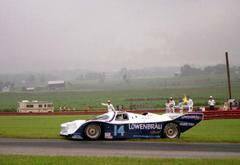 Al Holbert at Mid Ohio in 1986, driving the fantastic Porsche 962. He won the race.